This is the high season for high school graduation parties, summertime picnics and 4th of July gatherings. Now through Labor Day, teens will freely drink alcoholic beverages at the homes of their friends with adults/parents consenting to the illegal conduct. Otherwise responsible adults with no criminal record will break the law and allow under-age children to consume alcohol at their homes. In Michigan, the adults who allow persons under age 21 to consume alcohol face civil liability if the minor’s consumption of alcohol causes injury or death to another. The injured third party or the minor may file a lawsuit and recover under a social host theory! Think again if you believe that your adult friends who let their minor children drink at your home will support you if one their children is injured after consuming alcohol at your residence. The Social Host Liability law is friendly to personal injury lawyers as it imposes almost strict liability upon the adults that provide consent or lack of supervision leading to the consumption of alcohol by an under-aged person who causes the death or injury to another. Pursuant to MCL 436.1701, a person or retail establishment that sells or furnishes alcohol to a minor faces misdemeanor criminal charges. If the minor’s alcohol consumption causes a person’s death, the person who furnished the alcohol can be charged with a felony. An adult may also be prosecuted under the statute known as Contributing to the Delinquency of a Minor. -A person who violates this subsection is guilty of a misdemeanor punishable by a fine of not more than $1,000.00 and imprisonment for not more than 60 days for a first offense, a fine of not more than $2,500.00 and imprisonment for not more than 90 days for a second or subsequent offense, and may be ordered to perform community service. For a second or subsequent offense, the secretary of state shall suspend the operator’s or chauffeur’s license of an individual who is not a retail licensee or retail licensee’s clerk, agent, or employee and who is convicted of violating this subsection. -A person is guilty of a felony, punishable by imprisonment for not more than 10 years or a fine of not more than $5,000.00, or both, if the subsequent consumption of the alcoholic liquor by the minor is a direct and substantial cause of that person’s death or an accidental injury that causes that person’s death. The police will also charge a minor who is found in possession of alcohol or who has consumed alcohol (except when the minor can prove he has legally consumed alcohol in a place like Canada). This charge is commonly known as MIP which is given coverage on the Abdo Law Firm website. Our blogs usually include an image at the beginning of the entry. I thought long and hard about an appropriate image for this blog. 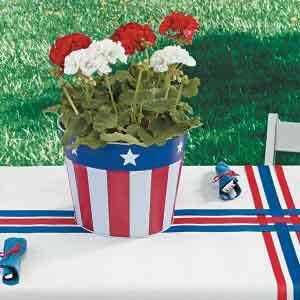 My ideas included cheerful graduates, backyard celebrations, car crash photos, teen alcohol consumption, images of someone in a wheelchair, a funeral, etc… In the end, I decided to use the cute July 4th plant image. I want this to symbolize all of the other images that I considered and my sincere hope that everyone has a safe graduation and summer season. Contact the ABDO LAW FIRM if you or your minor child are charged with a criminal offense or need to consult with our firm regarding Michigan’s Social Host Liability laws.